We've Been Rewarded with a Diversity in Business Award | Hupy and Abraham, S.C.
Hupy and Abraham has been honored by the Wisconsin Law Journal with the 2018 Diversity in Business Award. 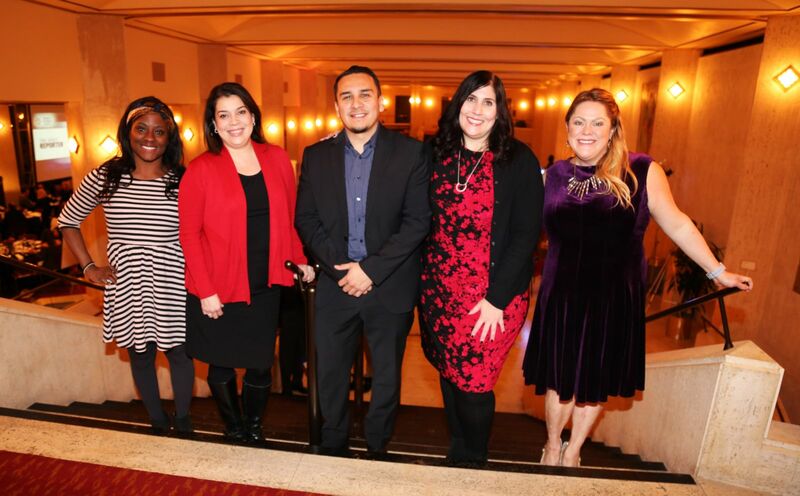 The award ceremony, which was held on November 15, 2018, at Milwaukee’s Marcus Center for the Performing Arts, had several businesses and community leaders congregated to celebrate the recipients. This is the second time Hupy and Abraham has been given this award. The Wisconsin Law Journal, that recognizes the importance that diversity has for employees and consumers, created the award in order to spotlight local companies and individuals that are already making progress along this front and to help start a dialogue about how and why diversity and inclusion is an important issue. Hupy and Abraham was found to be one of the 16 highlighted individuals and organizations that were leading the efforts of diversity and inclusion around the state of Wisconsin. The personal injury firm cited a number of ways diversity as a priority for the company, both internally and in the community. The firm has dedicated both time and money to organizations with goals to allow minorities and those marginalized to have opportunities they might not have otherwise. Employment at the firm is inclusive, a majority of leadership staff are women and 15 percent of employees are people of color. The firm strives to uphold commitments the firm’s founder, Lloyd Barbee made. Barbee was a well-known attorney and civil rights activist, and started the Milwaukee Public School Integration lawsuit. These steps toward a more diverse and inclusive community and workforce are just the beginning of possible change for the company. Hupy and Abraham is grateful to have received this award and will continue to uphold the standard that it has created for itself, and work hard to surpass that for the future.